Contrary to outdated belief, gaming isn’t just for boys. And if that’s the case, then eSports is also not an all-male scene. That, however, doesn’t take away the fact that eSports isn’t dominated by males. So, what is the reason for this particular disparity? I mean, there are CSGO Skins named after male players, but hardly any for female ones. Sharing her perspective on the issue is Julia “Juliano” Kiran of Bad Monkeys Gaming. On the surface, people would say that the reason why all-female teams don’t enjoy the same level of fame and fortune as their more popular male counterparts is because they don’t play as good. Now, now, before you attack me and say that I’m misogynistic, the reason why I said that is because according to Julia, it’s not because women are naturally inferior to men when it comes to eSports; it’s just that they don’t see the scene the same way as the men do. Unlike the latter, girls don’t put in the same effort in the game or competing, and there are many reasons for this. Firsto ff, some female eSports players would rather play on a hobby level because they’re working on the side, unlike male eSports players who chooses not to, regardless of whether he has or doesn’t have another way to generate income, like other all-male eSports teams who took the risk of receiving paychecks on a per-win basis. After all, girls are a lot more practical than guys. Another reason why girls don’t play as good is because they don’t even try in the first place, since they’ll think they’ll never be as good. That, of course, is definitely not true. But the thing is that one’s mentality does affect performance. So if these girls don’t believe they’re good enough, then they won’t be good enough. Last but not least, lack of incentive to go competitive is also a reason why all-female eSports teams don’t have the same drive. After all, why would you even want to play on the same levels as the boys if you don’t get paid as much? If you got girl problems, ask a girl for some perspective. 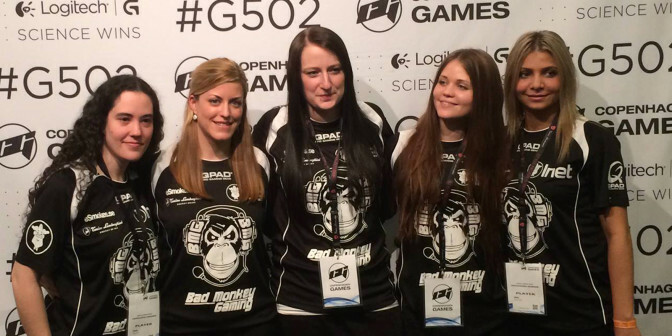 And Julia definitely shed light on CSGO’s eSports scene’s girl problems, and they go beyond CSGO-skins deep. Hopefully, in a few years, these problems would be resolved.